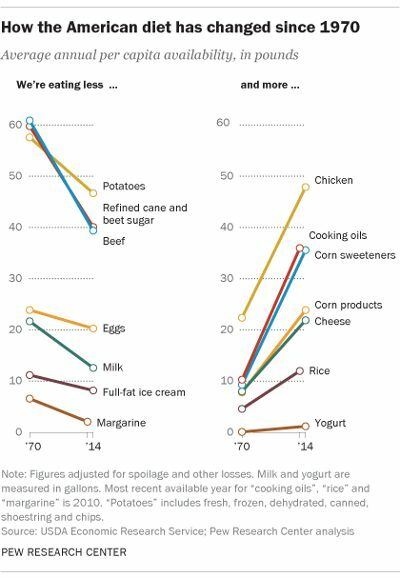 Despite this obsessive focus on what to eat, Americans are fatter and in many ways, unhealthier than ever before. In 2016, two-thirds of the adult population were considered overweight or obese, according to a U.S. Dept. of Health and Human Services study. This health epidemic spans ethnic and cultural boundaries, and is affecting more adults and children every year. One factor that is contributing to America’s growing problem with weight is our obsession with sugar. You probably don’t need to see the results of a clinical study to believe that the more sugary calories you consume, the greater your risks of obesity. What you may not know, is that what passes for sugar these days is actually a hyper-sweetened extract of one of the cheapest, most heavily-sprayed, GMO-pervasive crops on the planet. Despite a marked decrease in consumption of refined cane and beet sugars over the last generation, we are taking in more dietary sugar overall, thanks to the prevalence of corn-based sweeteners like high-fructose corn syrup, in nearly everything on grocery store shelves. Switching to corn-based sweeteners is a case of jumping from the funnel cake grease into the fire! Corn syrup has become the go-to sweetening agent for processed foods due to its low cost and high concentration (at least 1.5 times that of cane sugar). Thanks to government subsidies, corn is alluringly cheap for food and beverage companies that need a steady supply of sweetness. Corn is also a top GMO crop with at least 92% of the nation’s corn supply being genetically modified to withstand large doses of herbicides. Setting aside the shocking effects of GMO consumption, this intense concentration of simple sugar is wreaking havoc on the collective metabolism. Studies abound correlating intake of high-fructose sweeteners to increased risks of obesity, cardiovascular disease, hypertension, fatty liver disease, diabetes, and more. Aspartame, Equal, sucralose, Splenda, saccharin: they go by many names but do any of them sound truly sweet? Not when you read the nearly 100 scientific abstracts Greenmedinfo has collected on the perils of artificial sweeteners. Chemical fascimiles of sugar, these unnatural compounds can be far worse than the real thing. Linked to increased risks of kidney disease, metabolic dysfunction, diabetes, and obesity, these calorie-free sugar substitutes trick consumers into thinking that previously unhealthy foods can get “a sugar-free pass.” But fake sugars are far from harmless. Studies show consuming synthetic sweeteners generates excessive cravings for the sweet taste, leading to weight gain and other negative effects linked to excessive sugar consumption. While it might be tempting to think that these sugar imposters can help you bypass the weight and still eat the treats, if you value your health, steer clear of these dietary destroyers! Wondering what options this leaves you when only something sweet will do? Fortunately, nature has got you covered. Here are four solutions for satisfying your sweet tooth that won’t rot your teeth, create blood sugar imbalance, or cause weight gain. In fact, these natural wonders pack some amazing health benefits! Xylitol is a sugar alcohol derived from xylose – a crystalline sugar found in birch bark. Sweet like sugar but with only 40% of the calories, xylitol is fast becoming the preferred sweetener of health-conscious consumers. 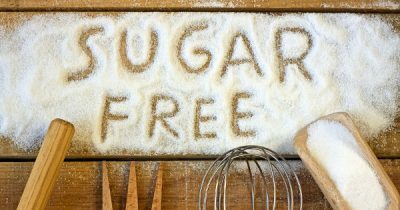 Low-carb dieters will find xylitol appealing, with less than a quarter of the carbohydrates found in cane sugar. It also stands apart from synthetic sweeteners thanks to its natural origins. Besides birch trees, xylitol is found in the cellular structure of fruits like raspberries, and in vegetables like the corn-cob. Even our bodies produce xylitol (between 5-15 grams per day) during normal metabolic processes. With a glycemic rating of 13, xylitol is metabolized around eight times slower than regular sugar, making it a safer choice for diabetics. Unlike sugar, which provokes the release of insulin in response to its consumption, xylitol is metabolized independently of insulin in the gut. It metabolizes slower and steadier than sugar, making it a much safer sweetener for hypoglycemics and the sugar-sensitive. And there’s good news for sufferers of cavities or Candida: Xylitol actually discourages the bacterial growth that feeds these conditions. The bacteria that cause candida, dental caries, and even Streptococcus mutans, thrive in acid-based environments, with sugar as their food of choice. Xylitol is non-fermentable, creating an alkaline reaction in the body that bacteria find inhospitable. Xylitol consumption has been shown to dramatically decrease cavities and ear and throat infections, among other infectious organisms. The dental health community are one of the biggest supporters of Xylitol. Studies have shown that plaque build-up and dental caries can be reduced by 80% with the introduction of moderate amounts of xylitol (up to half an ounce per day). Research also indicates that consuming xylitol may increase bone strength and bone density. *Important Notes: Xylitol can have a laxative effect, so start slowly. It is best to obtain Xylitol from a manufacturer who uses birch rather than corn. Finally, Xylitol is extremely toxic to dogs, so please keep it away from Fido! Xylitol is sometimes made from corn, which includes GMO corn. 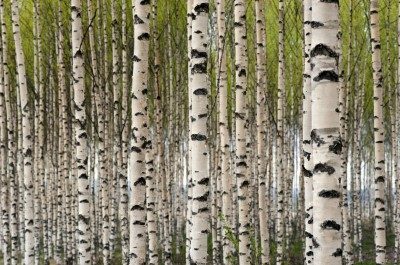 Look for the higher quality, non-GMO certified, and best of all: birch tree derived form. 300 times sweeter than sugar and without caloric content, the Stevia plant has been used by native people to sweeten food and drink for centuries. Stevia’s popularity as a modern sugar substitute grew in the 1990’s, and new research confirms what tribal cultures knew: this plant provides a safe, affordable and tasty alternative to expensive and potentially dangerous sweeteners. The study, published in August 2017, calls Stevia “a suitable calorie-free sweetener,” with both “pharmacological and therapeutic properties, including antioxidant, antimicrobial, antihypertensive, antidiabetic, and anticancer.” Researchers further heralded Stevia’s positive effects on those metabolic conditions aggravated by excess sugar consumption, namely obesity, hypertension, and diabetes. 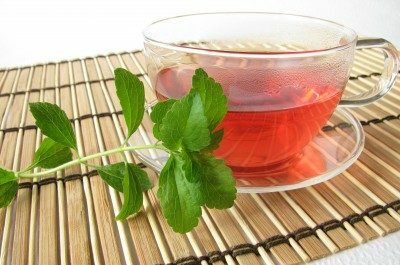 Stevia reduces blood sugar, reduces blood pressure, combats infections, and reduces risks of diabetes. One study even found that consuming stevia was as effective as a popular oral antidiabetic drug, but with fewer side effects. If you haven’t tried Stevia in a while, you will be pleasantly surprised by new formulations. What began as a strong-tasting plant extract only available in health food stores, is now widely available in crystallized-sugar form, as a finely distilled concentrate, and in formulations that approximate the less-sweet taste of cane sugar, but without the negative effects! 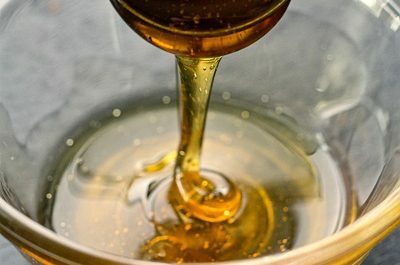 Identified as containing more than 181 health-promoting substances, honey converts the vital, healing energy of plants into a medium that is perfect for human consumption. Rich in phytonutrients (nutrients absorbed from plants), raw honey is renowned worldwide for having powerful anti-oxidative and anti-inflammatory properties. Raw, unfiltered honey is very different from the pasteurized product you find on most grocery store shelves. Nearly all commercially-produced honey is heated to kill potentially harmful bacteria, reduce crystallization, and improve product flow. Unfortunately, this process also kills the vital, living enzymes and good bacteria which make raw honey one of the world’s oldest-known superfoods. The bacteria in raw honey serves as a prebiotic: a substance containing helpful microorganisms that aid in the process of digestion. When consumed raw, honey’s natural enzymes aid in the breakdown and assimilation of the many nutrients it contains. Raw honey is also rich in powerful antioxidants called phenolic compounds, known to play an important role in cancer prevention. These compounds found in honey have also shown promise in reducing arterial blockages and lowering overall risks associated with cardiovascular disease. Perhaps most profound of all is that raw honey contains probiotic strains that are so ancient that one form of Lactobacillus present with certain varieties is believed to be of a lineage 80 million years old. Learn more: Could Eating Honey Be A Form of Microbial Time Travel? 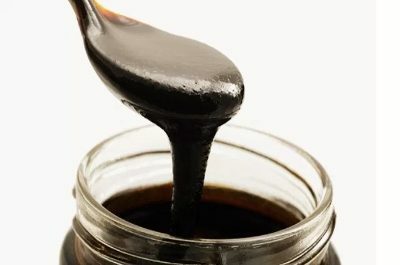 Blackstrap molasses, known to sugar-refiners as “final molasses,” refers to the thick, brown syrup that is the end result of boiling sugar cane during the production of table sugar. What sets molasses apart from cane sugar, besides the obvious appearance, is its high nutritional value. Unlike its nutritionally bankrupt cousin, a 3.5 oz serving of blackstrap molasses contains more than a quarter of your daily supply of vital minerals such as iron, magnesium, potassium, manganese, and B vitamins. Molasses delivers this nutritional punch with much less sugar, thanks to being at the end of the line of the crystalline-sugar extraction process. Molasses has long been a popular folk remedy, treating everything from menstrual cramps to constipation. An old wives’ tale credits an elixir of molasses and milk with having the power to maintain endless youth and beauty. There may be some truth to this, thanks to molasses’ high antioxidant content. Polyphenols, the plant compounds that imbue antioxidant properties, are abundant in molasses, and have been recognized for having anti-cancer properties in clinical studies. Rich in copper, iron, and calcium, molasses can play a vital role in maintaining healthy blood and bones. This makes molasses a great alternative to non-nutritive sweeteners for pregnant or nursing women, or women who are trying to become pregnant. It also makes a great dietary supplement for women at risk of developing osteoporosis. These four, healthful alternatives to sugar prove that craving a taste of sweetness doesn’t have to cause cavities, promote weight gain, or lead to blood sugar imbalances. On the contrary, when we look to nature, we find natural foods which actually sweeten our health, as well as our palates. Previous articleThe Deadliest Over-the-Counter Drug Is Still in Your Medicine Cabinet. Use These Natural Alternatives Instead.